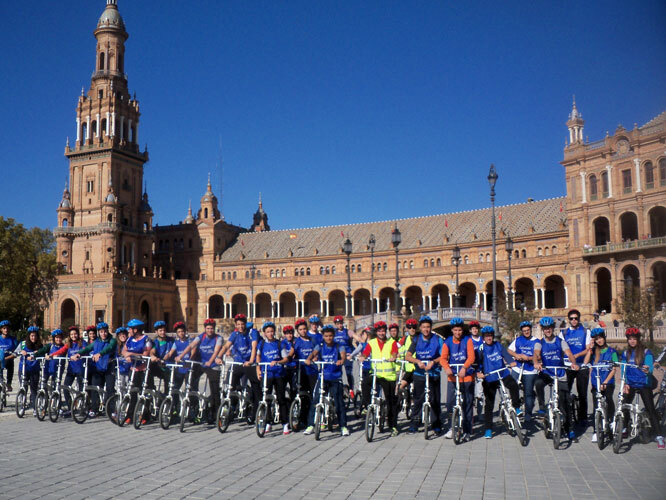 Enjoy this wonderful experience and get to know the history and monuments of Seville. 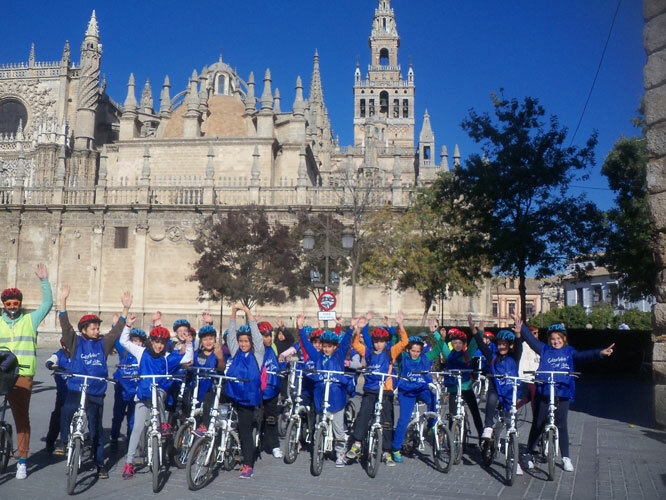 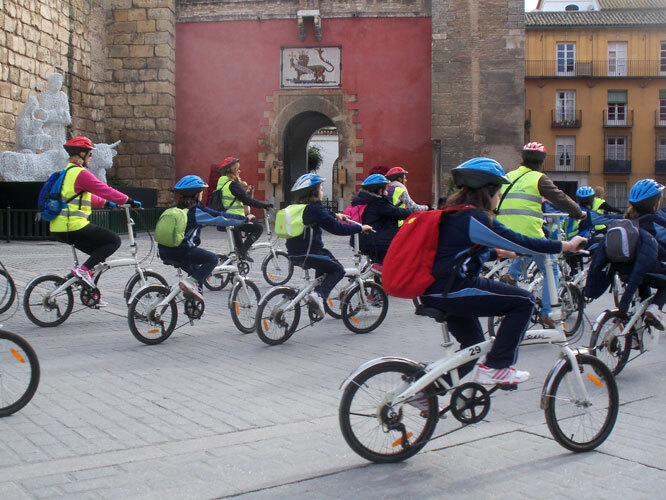 Our tour consists of an original interesting program, in which students will enjoy discovering the most beautiful corners of Seville by bike. We will visit the most emblematic buildings and monuments, while we enjoy a beautiful bike ride accompanied by a Coordinator, Monitors, Technical Assistance and Cultural Consultant, who will let you know the history and curiosities of Seville (Plaza de España, Universidad, Reales Alcázares, Cathedral, Torre del Oro, Barrio Santa Cruz, etc …), as well as some of its hidden treasures. The activity lasts approximately 3 to 4 hours and starts in the María Luisa Park or at a meeting point to be determined. 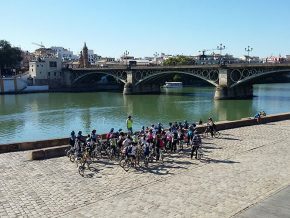 The team (Monitors, Guides etc ..) and materials (Bikes, Helmets) will all be waiting for you. Schedule: We can adapt to the schedule that suits you. 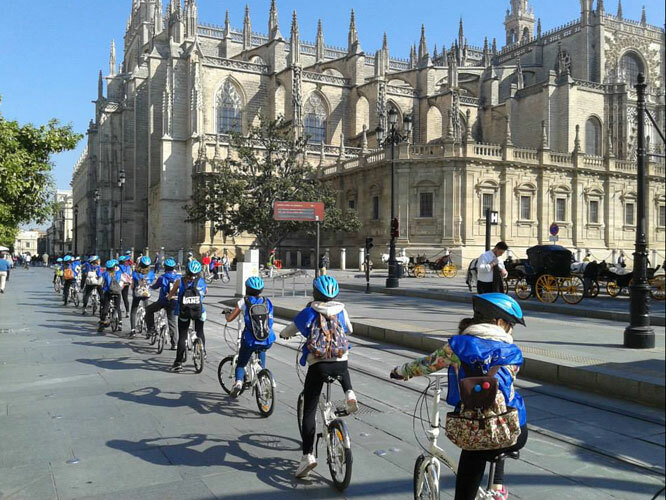 Students from 9 years old: Primary, Secondary, Baccalaureate and University. 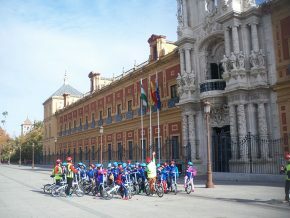 The Plaza de España, with special attention to Huelva and Seville. 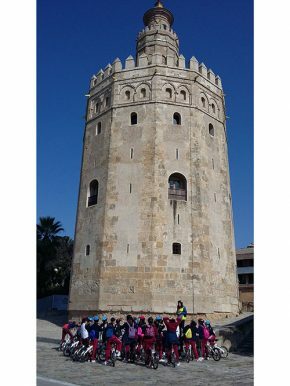 Monument to Bécquer, we will recite some of his poems. 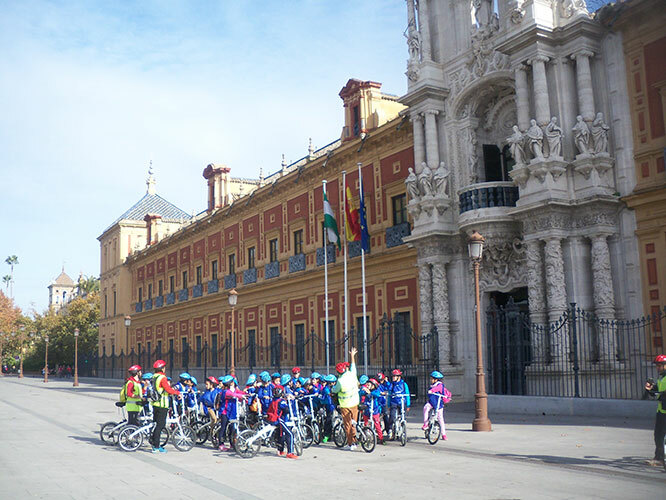 In the Plaza del Triunfo, we will see the Archivo de Indias, Catedral and Reales Alcázares. 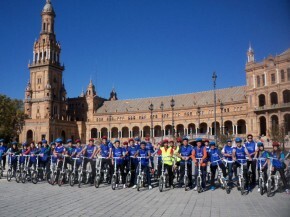 American Garden Expo / 92.
guarantee the quality of our activity.